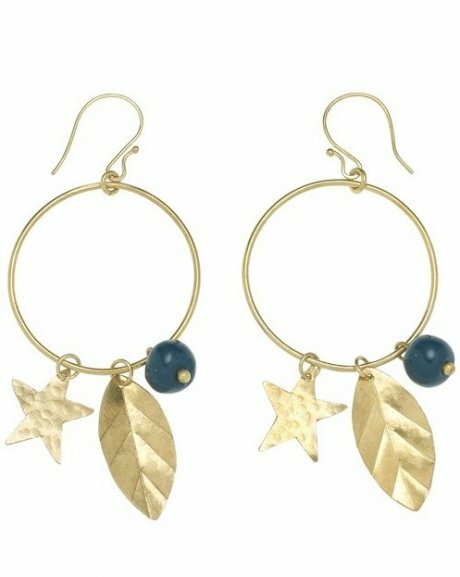 On Monday 16th December, Fair Trade fashion favourite People Tree will be running an exciting earring making workshop in their London office. 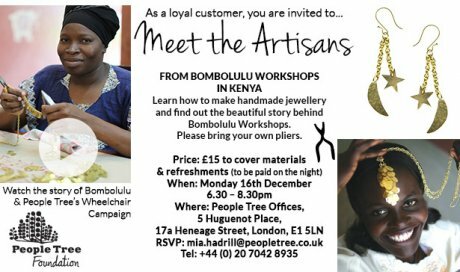 The session will be run by Safia Minney, Founder and CEO of People Tree and two artisans from Bombolulu Workshops, a Fair Trade social business based in Mombasa, Kenya. Bombolulu Workshops was established forty years ago to support people with disabilities and now employs around 100 people from across Kenya. Employees receive living wages and medical benefits, with housing provided for the most severely disabled. The profits go back into the community where they run a school for the artisan’s children and a local cultural centre. 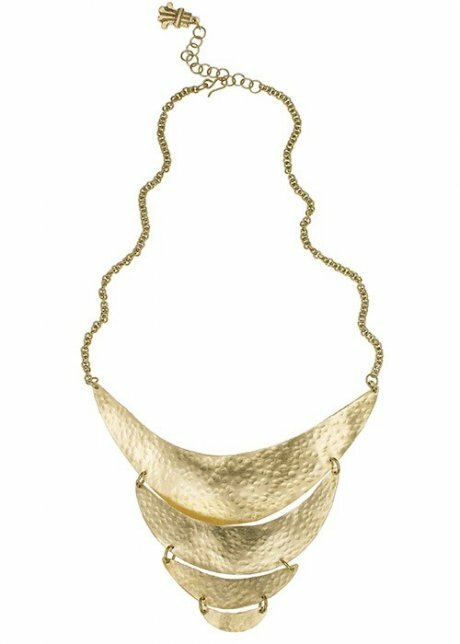 All of the jewellery made at Bombolulu Workshops - and indeed the other items they produce such as leatherwork, carvings and textiles - is made carefully and expertly by hand. People Tree has been working with Bombolulu Workshops for twenty years and during that time has continued to provide technical training, business support and community support. In Kenya there are over 1000 children in need of a wheelchair due to disabilities such as cerebral palsy and polio. 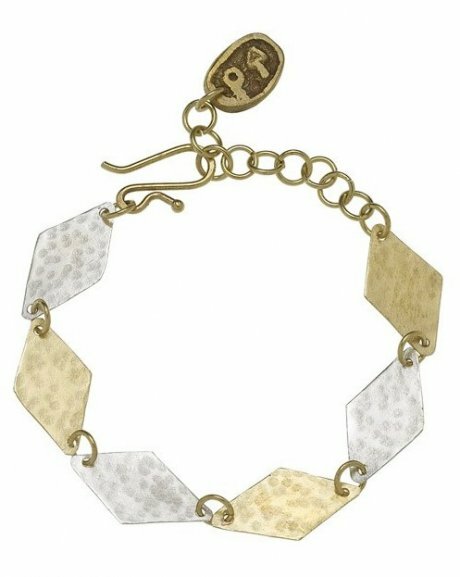 This year People Tree have launched the Wheelchair Campaign - for every 100 pieces of Bombolulu-made jewellery they sell, People Tree donates one wheelchair to a child in need. Find out more in their uplifting Wheelchair Campaign short film. The People Tree jewellery collection made by Bombolulu Workshops (some of which is seen here and is most certainly going on my Christmas list) is available online www.peopletree.co.uk. Next week, Bombolulu's designer Esther Mwanyama and General Manager Julia Warugur and are coming over to the UK to find out more about the UK fashion market. Whilst here, they will be running the workshop with Safia which will give an insight into how their jewellery is made. This is an amazing opportunity to meet some of the team of artisans from Bomboloulu, and make a beautiful pair of earrings as a treat for yourself, or as a Christmas gift for one very lucky person. Guests can also enjoy Fair Trade tea or coffee and mince pies.